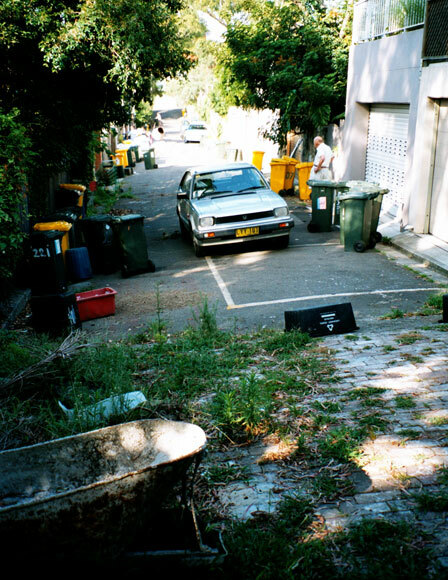 Between Rowntree and Short Streets, Birchgrove, is this unnamed lane, proudly displaying the closest it gets to traffic gridlock. 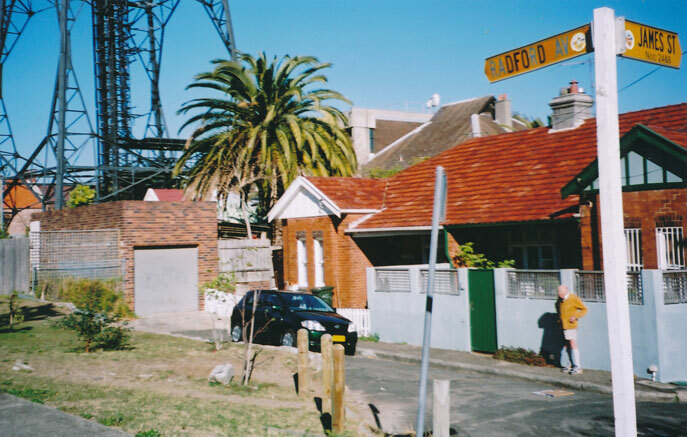 There’s not much of it, but Sardinia Lane, Birchgrove, has many small, attractive old houses with character. 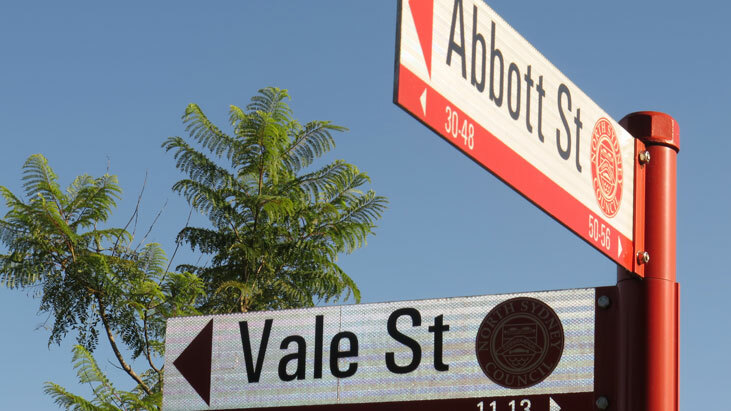 Would you like to own a whole street in world-famous Bondi Junction? Then just buy this house in Radford Avenue. 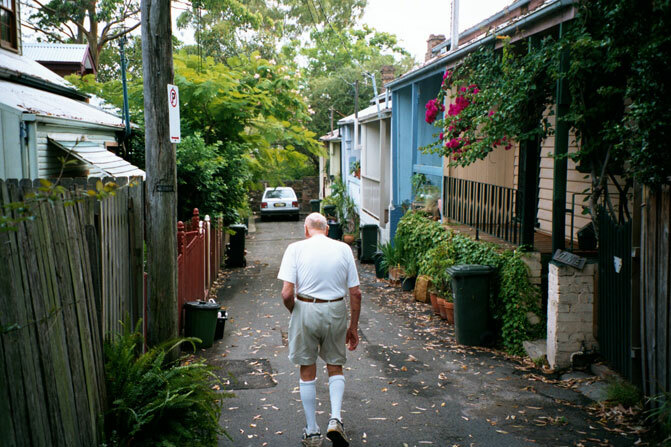 A lean lane in Bronte. It takes the odd commuter from Dickson Lane to Belgrave Street. Cabarita must have the only inlet in Sydney where you can walk without getting your feet wet. 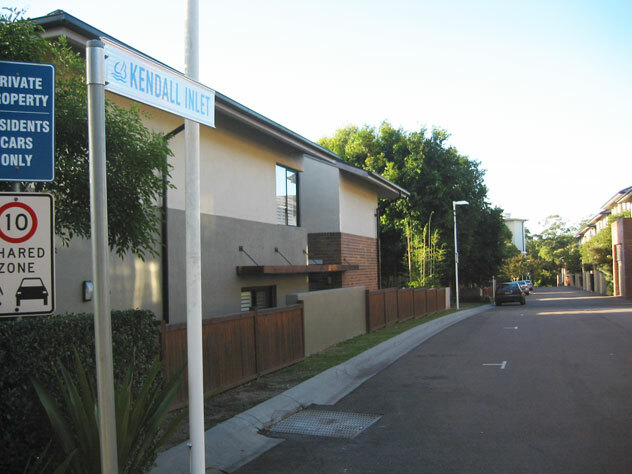 Cammeray's memorial to an Australian ex-prime minister. 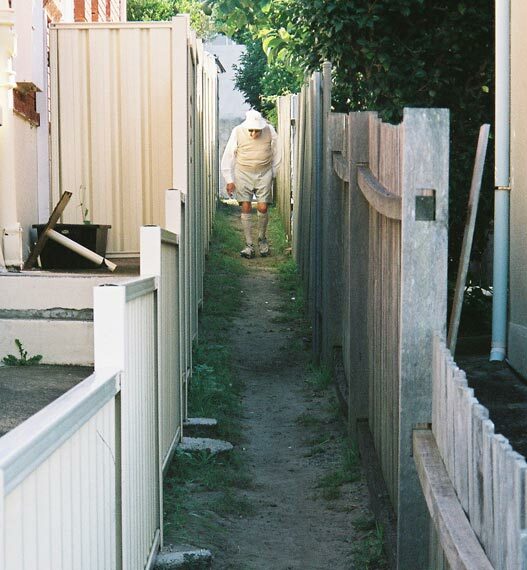 Not Sydney's busiest expressway. 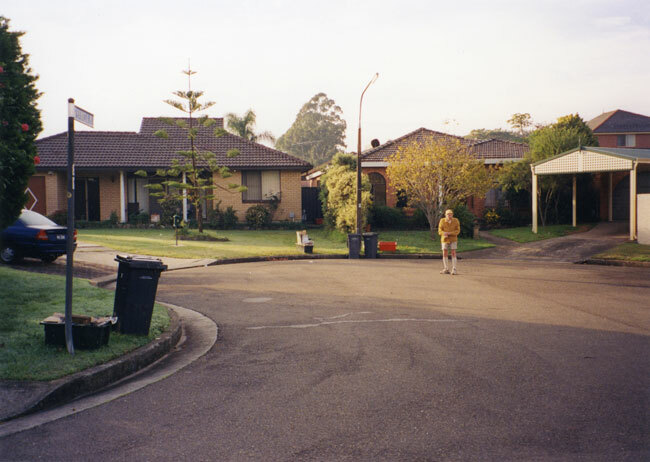 Banksia Place, Canada Bay, is about the length of 4 cars. 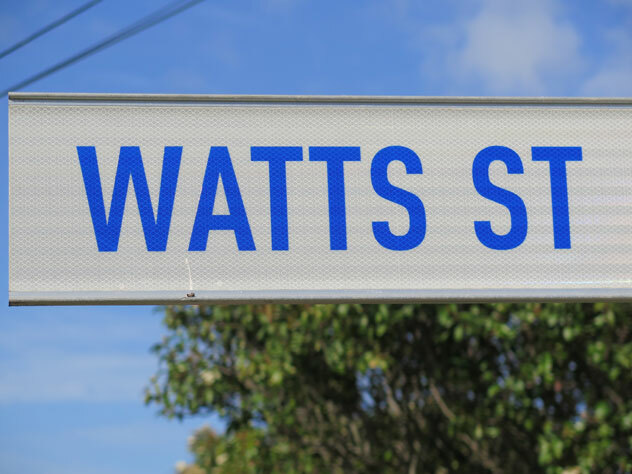 What's the name of your street in Canada Bay? Liverpool Council deserves commendation for its double effort on one pole for a tiny dead-end branch street. First by choosing a lower case 'c', and then by making two spelling contrasts. The fun doesn't end there. 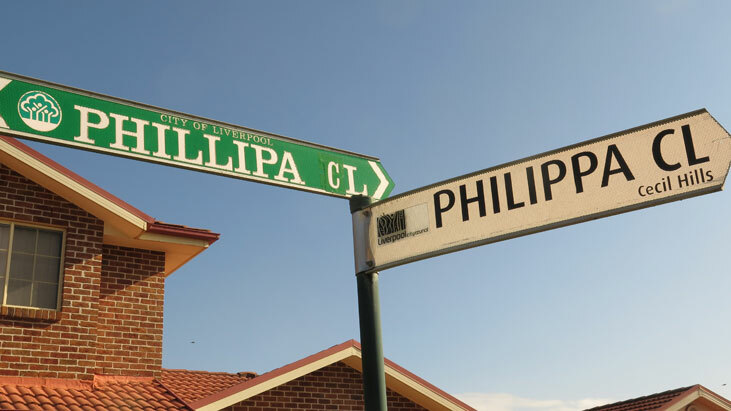 The Sydway street directory shows Phillipa and Gregory's directory has Philippa. It's as good as Alan/Allan/Allen etc. 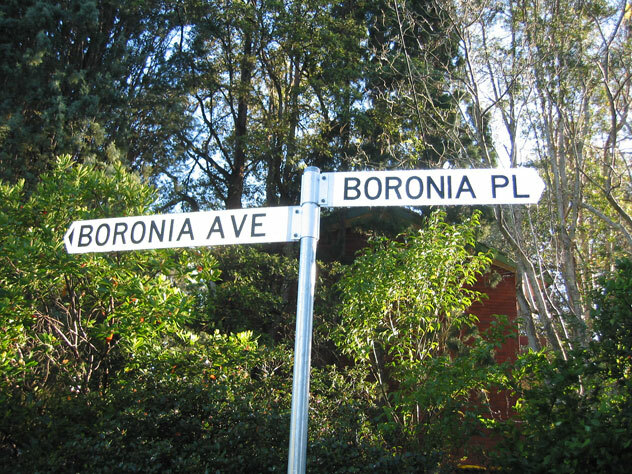 Why does Boronia Avenue, Cheltenham, decide to change its name for no obvious reason?